If you’ve ever tried to hire a financial advisor, you know how confusing the process can be. There is a huge range of financial professionals out there all offering different services. The fact that there’s no regulation around terms like “advisor” or “planner” only adds to the confusion. You need to look beyond the title and start seeking designations, such as a CFP® certificant or CFA Charterholder, when vetting a potential pro to help you. You should also ask about how an advisor is compensated before hiring anyone. Their answer can tell you a lot about the type of financial advisor they truly are. How Are Financial Planners Paid — and Why Does It Matter? There are many different ways financial planning firms can charge clients. Some charge a percentage of assets they manage for clients. Others charge a flat monthly fee in exchange for financial planning services. Some firms do both. In those cases, how financial advisors get paid is based on the services they provide: either investment management, financial planning, or both. But some financial professionals who call themselves planners or advisors don’t just offer a service. They sell products and can make commissions from those sales. When a financial professional can earn a commission check, they’re incentivized to sell more. At the same time, they can be great people who truly want to help their clients. But working on commission creates an inherent conflict of interest. When going to hire a financial planner, you’ll want to know the difference between those who work on commission and those who only receive payment directly from you, the client. There are three important terms you need to know to understand exactly how financial planners are paid: commission, fee-based, and fee-only. How commission-based advisors get paid: Financial advisors who work on commission can earn kickbacks and incentives from the products they sell. “Products” can include things like insurance policies or mutual funds and the commission is known as a sales load. That commission isn’t paid by the company who offered the product. It comes out of your pocket either when you buy or sell the product (or invest in or sell a mutual fund). Again, this creates a massive conflict of interest. It usually goes unchecked, too, because most commission-based advisors only follow what’s known as the suitability standard. The suitability standard only requires that advisors recommend products and investments considered “suitable” for their clients. That means the products or investments they recommend don’t have to be the best options for you — That doesn’t sound very even-handed, does it? This is why consumers should ask pointed questions to ascertain if the advisor is indeed a commission-based financial professional. How fee-only financial planners get paid: Fee-only financial planners are radically different than commission-based advisors. They can only receive payment for their service directly from their clients. That may sound unappealing at first — especially if a commission-based advisor says they’ll provide a service for “free” if you buy the mutual funds they recommend, but a fee-only advisor says they charge a flat fee per month for financial planning. “Fee-only” is a good thing and what you want to look for when you hire a financial planner. It means the only money they receive comes directly from the fee you pay them. This model eliminates the most conflicts of interest because advisors have zero financial stake in what they recommend for you. That means fee-only financial planners can give you the most objective, unbiased advice. They also work as fiduciaries under the fiduciary standard, which is much more strict than the suitability standard. How fee-based financial advisors get paid: This term is easily confused with “fee-only,” but fee-based is not the same thing. Under this model, fee-based advisors may charge you a fee for service in the same way a fee-only advisor does. But fee-based advisors can also receive commissions and kickbacks from recommendations, investments, and product sales.This presents the same conflict of interest commission-based advisors face. 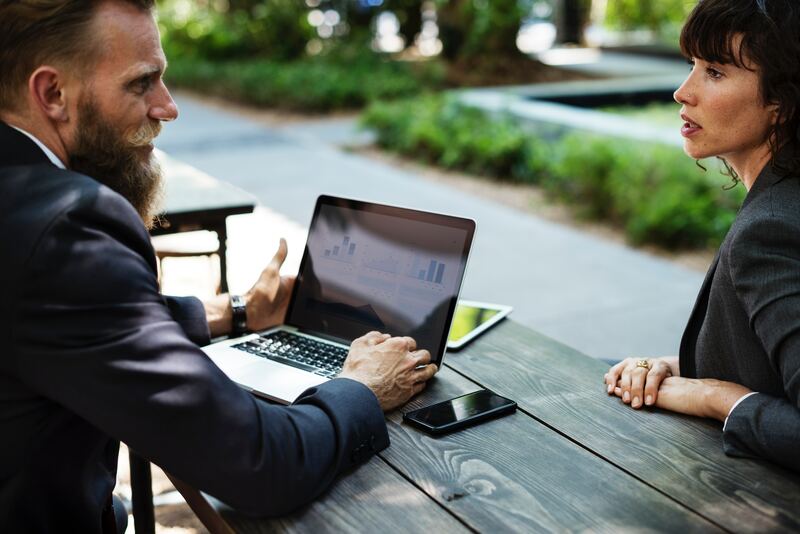 With so much nuance, it’s little wonder why it feels difficult to not only find a professional but to hire a financial planner who works only in your best interest at all times. One way to simplify the search: ask someone if they’re a fiduciary 100% of the time, in every situation, for their clients. If they say no, you should keep looking. You certainly deserve a financial professional who will put your interests ahead of all others, all the time, and recommend you the absolute best options for your specific situation. And if they say yes, ask them to sign a fiduciary oath on your behalf. Any true fiduciary will be happy to do this for you. They’ll also be transparent about their fees, how they’re to be compensated, and what their services will truly cost — so don’t hesitate to ask! There are several search tools available to find fee-only advisors such as through the NAPFA (National Association of Personal Financial Advisors) website and XY Planning Network website. For more information or to set up a feww consultation at FamilyVest, please call (844) 628-3185 or schedule an appointment on the calendar below.